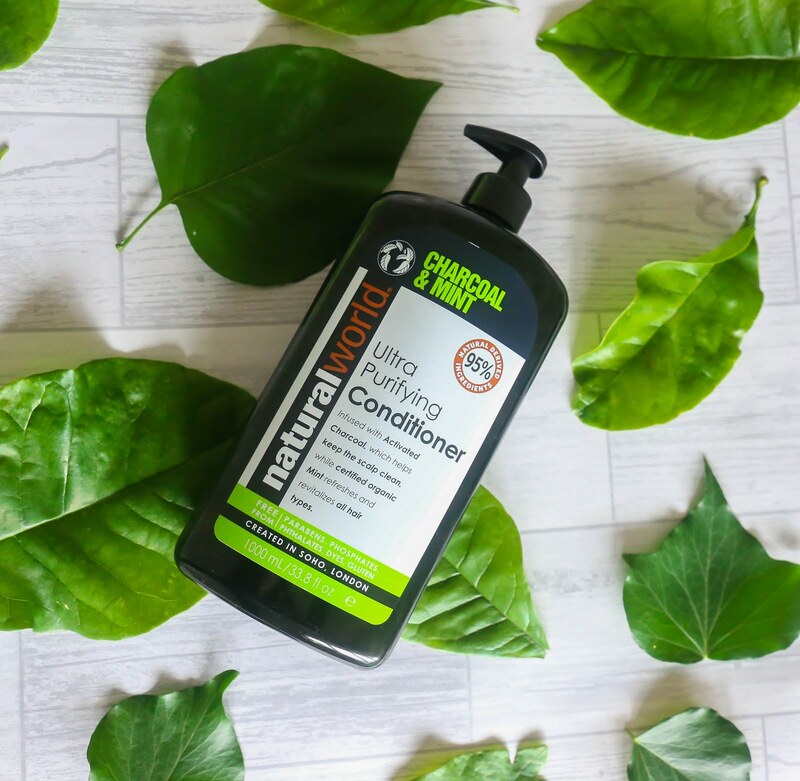 For the past month or so, I've been testing out a new (to me) haircare brand that is natural, inexpensive and actually works so well with my hair type... I introduce to you, Natural World. 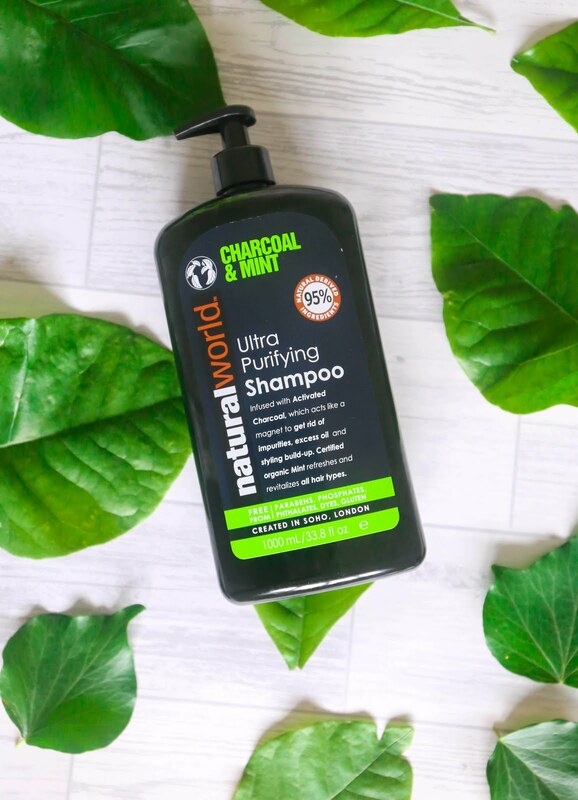 Natural World is a London-based haircare brand that specialises in natural products that are luxurious but also affordable. They cater towards a variety of hair types and target problems such as dryness and frizziness. 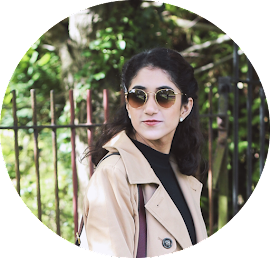 The Coconut Water range was something that appealed to me as well as the Argan Oil of Morocco range - as I have quite dry, frizzy and damaged hair. However it was the Charcoal and Mint range that drew me in due to its unique combination. I've seen charcoal being used in several skincare and dental care products recently but never in haircare! 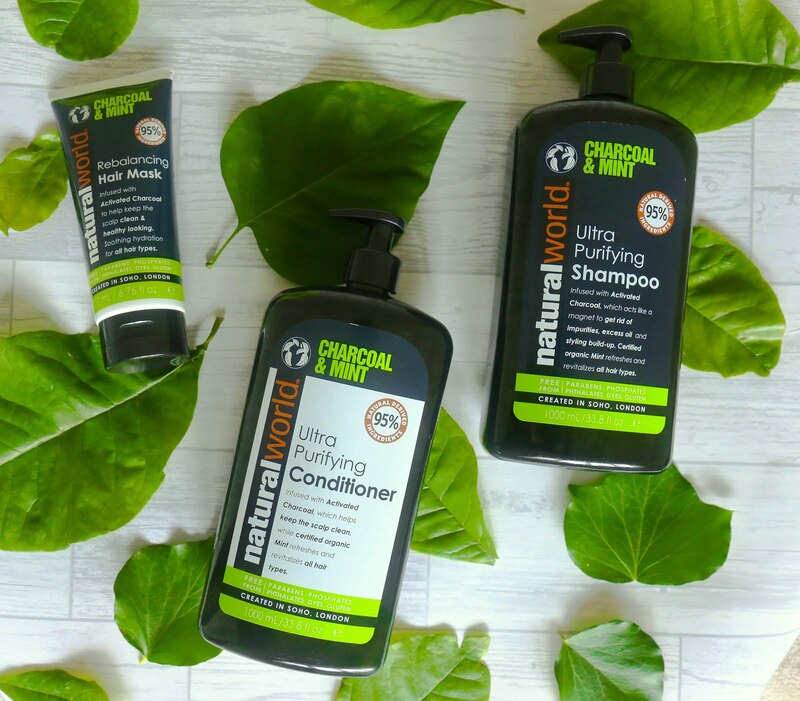 The Natural World Charcoal & Mint Ultra Purifying range is aimed at all hair types and its purpose is to refresh and cleanse your hair. One of the main ingredients is activated charcoal and this helps to draw out all impurities and excess oil. The organic mint and four essential oils - rosemary, lemongrass, orange and ylang ylang - helps to gently cleanse and refresh the hair. 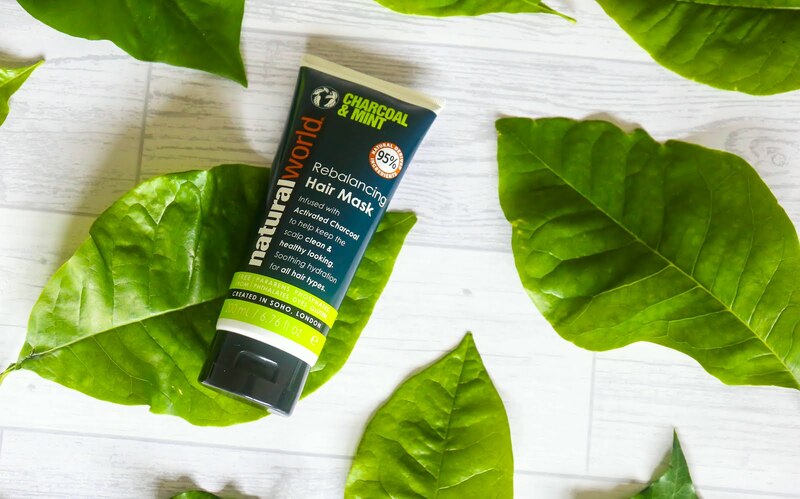 The product itself contains 95% natural derived ingredients which means it contains waaaaay less chemicals that most other haircare products I've been using in the past. Can I just mention that the range costs between £4 and £6 from Tesco? How insane is that! The shampoo and conditioner also come in 1 litre bottles so you know that you are getting the most out of your money and you don't have to pop to the shops as often! If you couldn't guess already, I absolutely loved them! I tried out the entire Charcoal and Mint range* which included a shampoo, conditioner and hair mask. I would use the shampoo first, followed by the conditioner and would also use the hair mask afterwards as my hair is rather dry (as I've mentioned countless times!). The range aims to purify and cleanse the hair so immediately I noticed it does exactly that. It is kind of like a Sunday shampoo so it cleans out all of the build up in your hair, whether it is products or if you live in a busy city. Therefore, I only use the product range about once a week or when my hair is not feeling so great! By using it once a week rather than with every hair wash I find it isn't too abrasive or harsh on my hair. As the products are mostly natural, the shampoo doesn't lather up like other shampoos I've tried (i.e. : from L'oreal). I just pump out a couple of blobs onto my palm and massage it into my scalp evenly and leaving it in for two minutes before rinsing it out. It definitely did clean my hair well as long as I throughly massaged the product into my scalp! The conditioner was similarly used... I'd just use a couple of pumps that would evenly cover my hair and apply the product through the lengths. After leaving it in for about five minutes I'd wash it out and move onto the hair mask. I like to leave hair masks in for a looooong ol' time. Like I mentioned earlier, the products are very refreshing and work fab as a Sunday treatment. So that's usually what my Sunday's consist of... hair mask in, face mask on and blog post writing commences! (Is this just me or....?). Anyway, I pop the hair mask in my hair for an hour.... or two and let it work its magic! I definitely notice a difference in how my hair feels after washing the mask out. When I first used it, I was shocked as to how my hair felt so incredibly smooth, soft and silky. Having damaged and frizzy hair often means that once my hair is dry after a shower it is usually still the same texture. However, this product changed alllll of that - I love this product the most! So that's the verdict... I'm truly blown away by how good these products are! I definitely want to try different ranges and perhaps mix and match the products depending on how my hair is feeling and looking at the time. Have you ever tried any Natural World products? * products marked with an asterisk were sent to me as a PR sample.